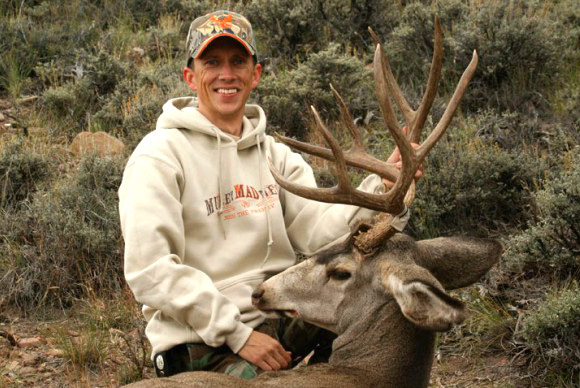 Brett has always had a passion and love for Mule Deer. Nothing thrills him more than putting his binoculars, scope, or better yet; a camera on a huge buck. Brett’s passion for the outdoors has driven him to create this website where everyone can enjoy photos of nature’s finest animals. 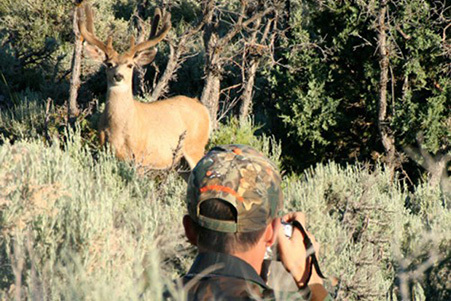 Brett spends many hours striving to photography the majestic, elusive, Mule Deer. Brett has taken several respectable bucks over the years and missed a few in the process, but his greatest love is photography and videography. Hopefully everyones highest accomplishment is unique and different for everyone. Outside of God, Family, & Friends because those should be everyones highest accomplishment. 🙂 My favorite photograph I’ve ever taken is of the giant buck found in the link below. Maybe someday I should tell the story, but for now click the link here and see him for yourself. Not exactly sure how ‘off topic’ this really is, but one of my favorite things to do besides wildlife photography is trail cams. I currently own 9 trail cameras, 8 of which are all ‘home brew’ cameras that I built. The pictures I’m getting with these home brew builds are second to none IMO. Plus it’s just downright fun to build them and learn. Other things that I enjoy doing are sports (basketball favorite), shed hunting, hiking, fishing, etc. Our professional website is optimized for your viewing pleasure, please consider purchasing a photo today.